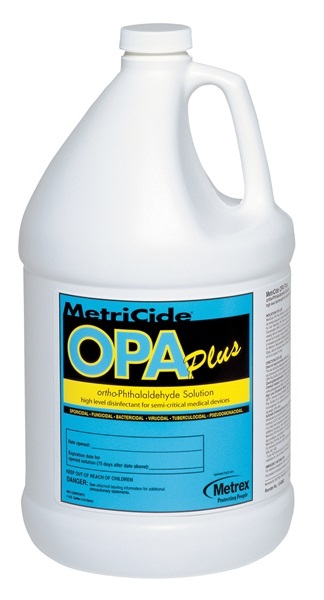 1 gallon liquid instrument disinfectant, contains Ortho-Phthalaldehyde Solution (OPA). Effective against Tuberculosis, Hepatitis A (AER), Hepatitis B, HIV-1,and Polio Virus Type 1 in 5 minutes at 25°C. 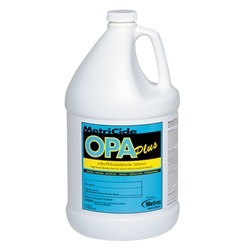 Provides up to 40% more reprocessing cycles in an AER than other OPA brands1. Compatible with most medical device materials.Designed for use with both manual and automated endoscope reprocessor (AER).